Your lips can become chapped and dry when they're exposed to the sun, wind or cold air. A lip balm containing petroleum or beeswax will provide a barrier and help seal in moisture. It's very tempting to pick and bite off flakes of dried skin, but this will only make your lips bleed and heal more slowly. Licking our lips doesn’t help, because it dehydrates the skin, and our saliva also contains acids that helps break down food and these irritate the lip skin: as does the process of scrubbing peeling or biting off skin flakes. Irritating the skin around your mouth may also trigger a cold sore if you're prone to getting them. It's also tempting to keep licking dry or cracked lips. But this will only dry your lips more, as the saliva evaporates and the repeated licking or wetting "washes" the natural grease off the skin. 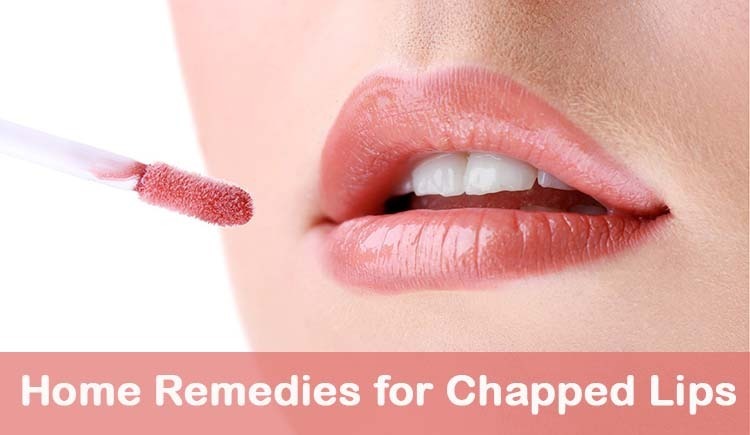 Use fresh peanut oil to treat chapped lips. Caution: Peanuts are not recommended for those who suffer from arthritis and people with weak stomachs. Those who suffer from peanut allergies should not use this treatment.